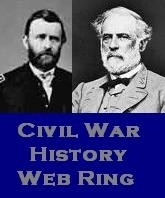 On Dec. 9, 1862, a Tuesday, the 13th remained in camp on Marye’s Heights above Fredericksburg with the 18th Regiment. The 21st and the 17th regiments went back down to the city on picket duty. The 17th Regiment’s Private Robert A. Moore liked it because he was out from under his drafty tent fly on the Heights and in unspecified “comfortable quarters” on provost guard duty. “All is very quiet across the river,” he wrote in his diary that Tuesday. But the peace and quiet were soon shattered. About 3 a.m. on Thursday, Dec. 11, the regiment’s drums beat the long roll, calling the surprised men out from their tents. This entry was posted in Albert Wymer Henley Diary, Barksdale's Mississippi Brigade, Battles: Fredericksburg, Fredericksburg, Gen. Lafayette McLaws, The Spartan Band and tagged 13th Mississippi Infantry Regiment, Battle of Fredericksburg. Bookmark the permalink.